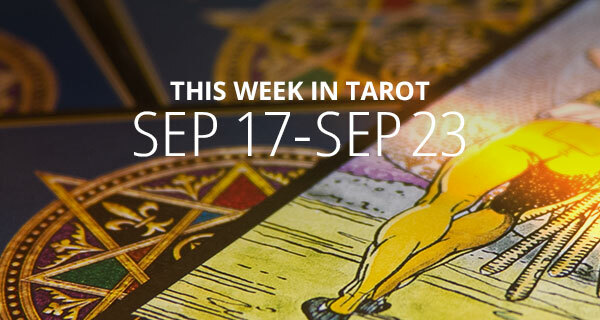 This week, we’ll be focusing on the Angel Tarot. This deck is perfect for the beginning of autumn, and a stormy period of eclipses, hurricanes, nuclear threats, and fires. 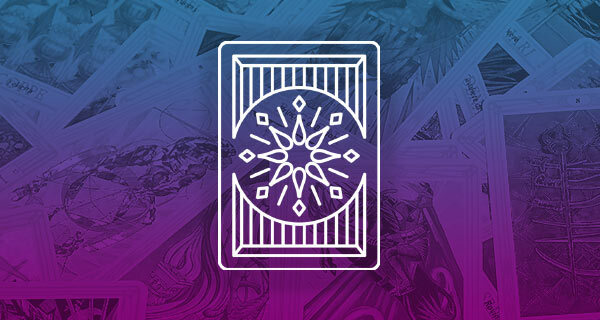 This is a stressful time, but this tarot deck, designed by Doreen Virtue and Radleigh Valentine is “100% safe, gentle, and trustworthy.” All its images are designed to be positive and beautiful. So, let’s take a deep breath and see what the Angel Tarot has to say to us this week. DAY (EIGHT OF FIRE): Hold on tight, because things are moving into high gear! Past delays are over, and your plans will manifest with swiftness and energy. However, you may feel caught off guard at this pace. Still, dreams are coming true, and the key is to stay grounded. Your messages are received positively right now, so embrace the spotlight. Additional meanings: Inspiration. Sudden travel. An unexpected level of success. EVENING (KING OF FIRE): Stay focused, and devote your energy and time to the task at hand. You are in a position of leadership, and as a result, you inspire others with your enthusiasm. You may also receive advice from someone who thinks outside the box. This King represents a natural leader with great charm and flair. They’re a creative idealist, they’re ambitious, influential, and motivational. Additional meanings: An entrepreneurial venture. Speaking in front of a group. Having the courage of one’s convictions. Making a difference. DAY (FIVE OF FIRE): You may be experiencing some challenges today, because the people around you have different goals and values, and there is disagreement as to how to proceed. Success is still possible, however, it takes great effort. You’ll either enjoy this type of challenge or it may tire you. It’s a competitive time, but it’s also necessary to get people to understand different viewpoints. Additional meanings: Athletic competitions. Nuisances. The need to set priorities. Caught in the middle. Dealing with details and red tape. EVENING (TEN OF FIRE): You have been working too hard and putting in too many hours. However, there’s a need to balance the professional and personal sides of your life. Therefore, it’s a good night to ask for help or accept assistance from others. It’s also a good night to slow down, breathe, and get cozy. Additional meanings: All work and no play. The darkness before the dawn. Stress-related health problems. Obsessive behavior. DAY (RELEASE): This card indicates that it’s time to move on because this phase of your life is now complete. Therefore, there is no benefit to remaining in this situation. Instead, shake off the old and welcome the new! You may feel a sense of relief or sadness at this ending, however, it’s time to leave that which you’ve outgrown. Just take your time when adjusting to this change. Be kind to yourself during this transition, and seek the support of friends and family. Archangel Azrael is on this card, and he comes to heal your heart when changes and losses create grief. Call upon Azrael to help you move forward and let go of the past. Additional meanings: Inevitable, positive changes. Facing your fears. Relationship transitions. Spiritual evolutions. EVENING (THE CHARIOT): Congratulations! This card means you’ve successfully handled a challenging situation. Your ability to see both sides, take action and make decisions has brought you approval, respect, and gratitude. Just stay calm and grounded, and also be clear about what you are trying to achieve. Tonight, it’s important to show self-control, determination, and the willingness to go the distance. The Angel on the Chariot is Archangel Metatron who can increase your motivation and energy levels so that you’ll accomplish your goals. Metatron uses a sacred geometric shape called a “Merkaba” or “Metatron’s Cube” to warp time, which also enables you to manifest your dreams. Additional meanings: Self-discipline. Sheer willpower. A promotion. Travel. DAY: (SIX OF FIRE): Bravo! This is a day of great achievement and success, and people will think highly of you. Your reputation is excellent because you have made good decisions and worked hard. There may even be some kind of public acknowledgment for your contributions or some kind of award. Just know that good news is on its way, and it could appear in the form of a promotion or job offer. Additional meanings: Victory! Feeling good about yourself. EVENING (KING OF EARTH): Tonight is a successful time, and your plans will go well. You may even be promoted or offered a higher salary. Therefore, you should have confidence that you will succeed! This King represents someone with outstanding business skills who is good with money and can give excellent advice. They could also be a person who has been successful in a career and now enjoys the finer things in life. They’re professional, generous, responsible, practical and also competent. Additional meanings: The Midas touch. A captain of industry. Employers. Financial security. DAY (NINE OF EARTH): This is a good day to take it easy and enjoy some luxuries. You have done some excellent work and have prepared for this time in your life. Therefore, it’s time to value your own company and enjoy some peace and quiet. However, you are also looking for a deeper meaning in your life, so you may retreat inwardly for some inspiration. Additional meanings: Successful self-employment. Unexpected financial windfalls. Appreciation of nature and animals. Home improvement and redecorating. EVENING (THE STAR): This is a good night to go ahead and wish upon a star! The angels say you have every reason to feel hopeful and to have happy expectations! Just believe in your dreams, and look to your future with optimism, excitement, and confidence, because the challenging times are now behind you. Make your plans with the long view in mind, and be sure to trust your intuition. The angel depicted is Archangel Jophel—the angel of optimism who also helps us develop a sunshiny outlook. Call upon Jophel to help you celebrate your victories and stay optimistic about your future. Additional meanings: Faith. A sense of purpose. A prosperous, new beginning. Being on the right path. DAY (SEVEN OF AIR): Today, stop what you are doing and thoroughly examine the truth of the situation. It’s possible that your course of action has some significant omissions or may be based on incorrect assumptions. 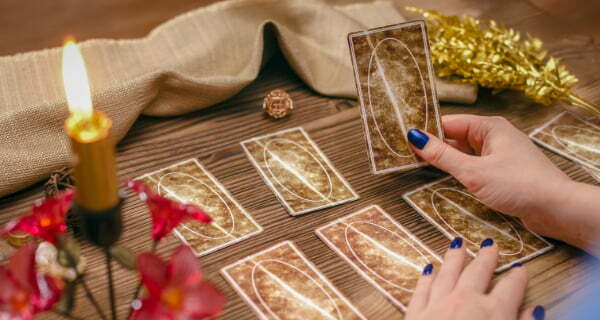 Therefore, you need to review your plans with an objective eye or consult an expert, such as a life path psychic, to help you make some adjustments. Exercise caution with the details, and avoid carelessness as well. Review the timeline. It may be too soon to move forward, or it’s possible you are procrastinating and missing the perfect timing. Be wary of someone involved who may have a hidden agenda. Additional meanings: Preferring to work or live alone. Embarrassing secrets. Avoiding responsibility. Theft. EVENING (PAGE OF EARTH): Good news about financial matters is coming soon! Your plans move successfully forward at a steady pace. You may start a new hobby, or project or book tonight. The Page indicates a student or someone who enjoys learning. He’s someone who can be optimistic, however, he’s also realistic about what can be accomplished. He’s successful, dependable, frugal, and trustworthy as well. Additional meanings: Doing your research. Wise beyond one’s years. Going back to school. Materialism. DAY (KING OF WATER): Today, be a counselor who listens to people and offers them comforting and kind words. It’s a good day to open your mind to the ideas of others, and to also be accepting of those who are different from you. It’s also a great day to volunteer to help those in need, get some excellent advice or get a life path reading as well. This King represents someone wise and compassionate, who also has a rich inner life. This is a person with quiet authority, who can see the truth and meaning behind any situation and provide a solution that’s both intelligent and heartfelt. They’re certainly trustworthy, cultured, respected, reliable, and accomplished. Additional meanings: A trustworthy romantic partner. A mediator. Cultured interests, such as art and music. An upstanding member of society. EVENING (PAGE OF AIR): Tonight, you will likely receive some news that presents a challenge or some kind of delay. The message may come from someone who speaks bluntly, however, don’t take it personally, and don’t “shoot the messenger.” This Page represents a person who is often intelligent, and endlessly curious. It’s someone who is analytical with a brilliant intellect, is fair, logical, unemotional, and also impulsive. Additional meanings: A new challenge. A contract or agreement. Constructive criticism. Legal matters. Gossip. Hi Mavis: Thanks for your feedback. I re-read the cards for yesterday, (five of fire) and it was true for me as well. goes, in his new “Chariot”. Well, Happy New Moon to you. It’s listed as tomorrow, but it is actually today. 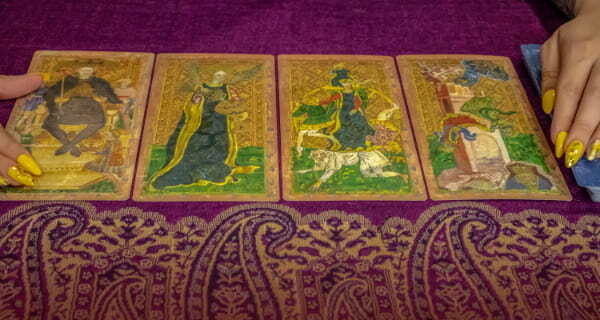 Thanks for sharing the beautiful messages of The Angel Tarot! It is one of my personal favorites to read with! Of course, I don’t think there is a Doreen Virtue deck in publication that I don’t absolutely love. That 8 of Fire showing up for the beginning of the week was especially right on for me today too!